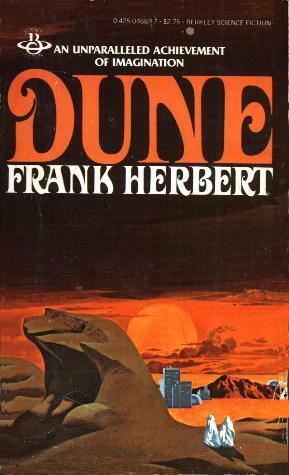 For the February convocation of the Classic Sci-Fi Meetup, we discussed Frank Herbert's Dune (1965), one of the classicy-est of the classics. 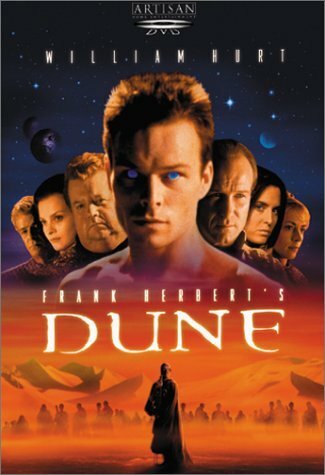 Widely adapted and expanded on—films, games, sequels and spin-off novels—the original Dune is certainly a landmark. Set in a far-distant future, the novel is essentially a revenge story with a great deal of political, mystical, and ecological ideas. Firstly, I should say that Dune is on my top shelf, a frequent re-read, but I haven't come back to it in a while. It was interesting going through it again with Le Guin's The Left Hand of Darkness (1969) fresh in mind—read for both Chicago Nerds and Weird & Wonderful discussions. They're of similar stature in terms of influence, both kind of "core canon", both focused on political and sociological ideas in extreme environments (Dune, the desert; Left Hand, polar/ice-age conditions), and have an eye towards large-scale world-building that feels in some way more akin to Tolkien than to their science-ficitonal contemporaries. Lots of contrasts, as well, in writing strengths and weaknesses—really fruitful to read them against each other. But! To our discussion! Very quickly, in our opening remarks, we established a strong spectrum at the group, with a few of us going so far as to call Dune our favorite book, period, while others unleashed a volley of "really strong dislike" if not quite hate. We praised the development of the universe, the unabashed infodumping that Herbert uses to frame his constraints—and very particular constraints they are. 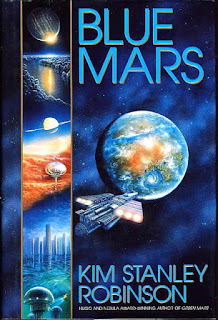 Herbert's mix of technological & historical worldbuilding create a society that has interstellar flight but essentially no mechanical computers; power factions with nuclear capabilities that primarily fight hand-to-hand with knives. We also really dug the "Bene Gesserit", the gene-line-controlling, long-term-planning, proto-Jedi what-have-you. Also, there are lots of drugs! really thin characterization for a lot of the cast, emphasized by "funny hat" descriptions—a number of the characters are always described with one physical feature rather than anything deeper. Chani is "elfin", Gurney has an "inkvine scar", etc. the Baron! Hoo boy, this is a big one to unpack. Basically, this is some offensively bad villain-building, tying together his physical repulsiveness, homosexuality, pedophilia, and racial/natural (Russian) otherness and making them of a cloth with his actual villainy. Much back and forth on this one. Baron Harkonnen is one of the wince-iest parts of re-reading this, for me. Finally, and most complexly, what to make of this book as a colonial critique. We probably spent the most time on that last point, noting the ways that Herbert is pulling (extremely heavily) on T.E. Lawrence, without seeming to have absorbed Lawrence (and history's) deep ambivalence about his role in the Arab revolt. 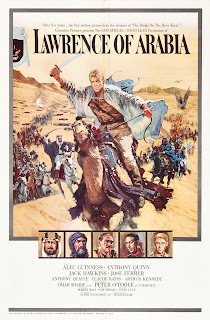 On one level, Dune is about the Fremen (an explicitly Muslim lineage) overthrowing generations of oppression; but it also fails to give almost any Fremen a real voice, and entrains their entire culture in Paul's mission. Very "white savior" trope, looked at from that angle. 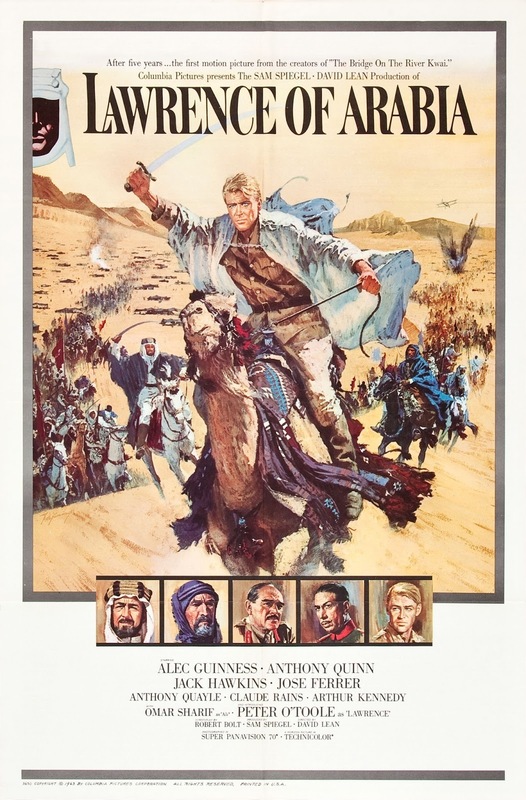 Much discussion of how Dune does (and doesn't) map onto the history of proxy-wars in the Middle East and North Africa, and how Lawrence's writings, as well as the 1962 film Lawrence of Arabia, impacted Herbert. This was a re-read for many of us, and we noted how well some things hold up—particularly the intricacy of the plot. I noted that "Herbertian" has become an acceptable word to talk about certain kinds of palace-intrigue plots, and we also used "Shakespearian" quite a bit—there's a kind of script- or stage-like nature to the novel that evokes Shakespeare's history plays (Macbeth, the Richards/Henrys, etc) especially. 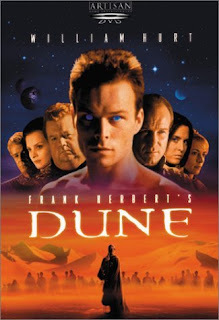 We noted that the Sci-Fi miniseries of Dune (2000) captured this theatrical feel very well. We also noted that it is extremely excellent and sadly hard to find at the moment—a mini-series that that probably would have done extremely well today, but came out just a bit before the current golden age of series & mini-series. We noted some interesting stylistic things—for one thing, the dense use of "secondary text citing", which give the book a kind of academic, historical, or biographical framing. On a paragraph-by-paragraph level, we were also struck by the kind of uninhibited head-hopping Herbert uses: the point-of-view jumps between different characters' "thought bubbles" constantly, in a way that is very different from most modern genre fiction. We also talked about the (potential) upcoming adaptation, helmed by Villeneuve of recent Arrival fame (Positron review here, btw). Grumbling about "why can't we get something other than a remake" aside, it will probably be at least pretty. Also we talked briefly about Herbert's five sequels, and Kevin J. Anderson's continuance of the series. Talked for a bit about the ecological ideas in the novel, which I have found to be the most consistently interesting—Herbert was piecing together a lot of what would turn out to be cutting-edge ecological thought from some of his journalistic endeavors, although it was noted that the dune-reclamation project he initially based this on was actually later considered a misstep and ripped up. We talked about the terraforming here being kind of under-ambitious (e.g., if they have massive transluminal capacity, why not just ship some water in), but, in my opinion, all the more interesting—talking about communities living in landscape, slowly altering it with non-flashy tech. 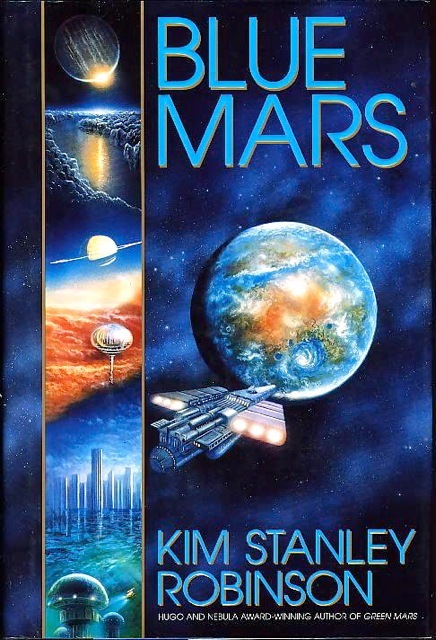 Interestingly, we brought up Kim Stanley Robinson on both sides of the equation—the comet-crashing in the Mars trilogy, but also the simpler, hands-on terraforming of Pacific Edge and elsewhere; 2312 has a dash of both approaches. Really great discussion, I've only captured the tip of the iceberg here. Check out the Classic Sci-Fi Meetup for future discussions—keeping "drugs" as a temporary theme for some reason (the light-hearted success of A Scanner Darkly, I guess? ), the next two picks are Huxley's Brave New World and Sterling's Holy Fire.